communicating through analog and digital Amateur Radio satellites. 14:30 UTC on July 31. The linear transponder will operate in Mode U/V (70 cm Up, 2m Down). to TX LSB on the 435 MHz uplink and RX USB on the 145 MHz downlink. and callsigns of people actively involved with the ARISS program. 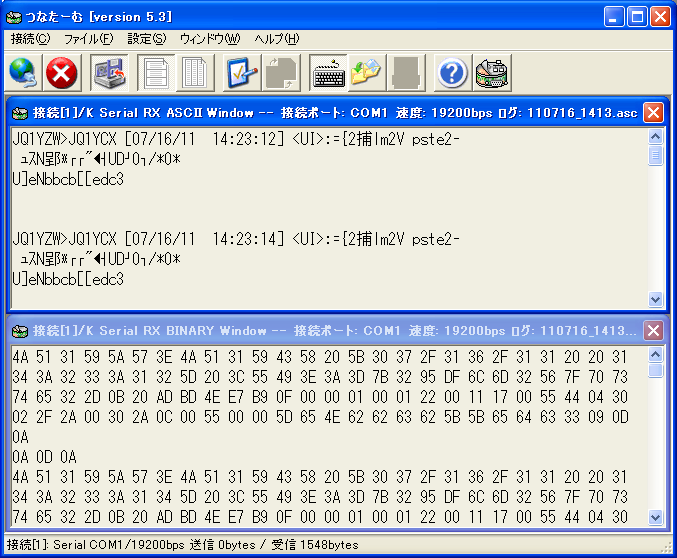 backup of BPSK-400 format is being transmitted. Spring, MD is September 15, 2011.
alternate Board members for one year terms. important and is one of the privileges of AMSAT membership. water and in the past few days the awards have sky rocketed." tute 2, where 8 ham teachers worked their first satellite contact. They are included in the list below. Congratulations to all! for making their first satellite QSO. The following have earned the AMSAT Communications Achievement Award. enabling it to be seen around the world. on the AMSAT web site as it becomes available. Wyndham San Jose Hotel, San Jose, California. are invited on any topic of interest to the amateur satellite community. the end of the list in the CAT window. agree exactly for SATPC32 to match the Doppler data with the satellite. wish. They won't hurt anything, but it will clean up the ISS CAT window. + Congratulations to Ron, N8RO for attaining Satellite VUCC # 219! have been tested and it is hoped it will be generally available soon. with a downlink power up to 3 watts. on August 1 with the Americas. + The AO-7 footprint continues to be long according to Luis, LU6QI. on AO-7. He worked 10 stations, including KD8CAO, WB8TGY, and K8YSE. active band for international amateur satellites. ward to further discussions with DCMS." as the youth asked 16 questions of ISS crew member Ron Garan, KF5GPO. Wheelock's participation, particularly with the youth activities. the weekend of July 30-31. Deployment is scheduled for August 3.
heading "Ham Radio in Space." benefits. Application forms are available from the AMSAT Office.